Students from the UCLan Cyprus School of Sciences visited GET Lab (www.getlab.org) as part of an educational trip. The visitors were 1st and 2nd year students who are showing interest in Computer Games and visited the lab with their supervisor Josephine Antoniou, Lecturer, UCLan. 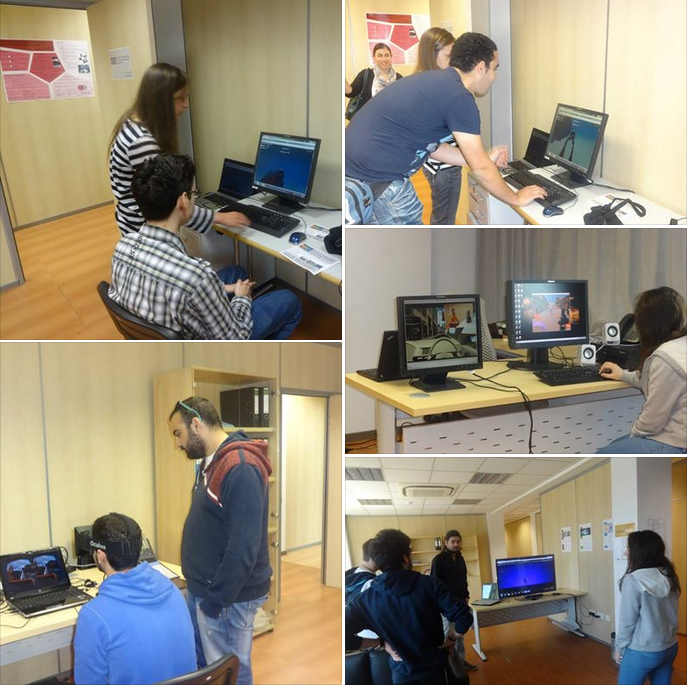 The visitors had the opportunity to learn about the research performed at the GET Lab, described by GET Lab’s coordinator Despina Michael, and the chance to see and interact with several projects, all developed by GET Lab’s researchers and students.